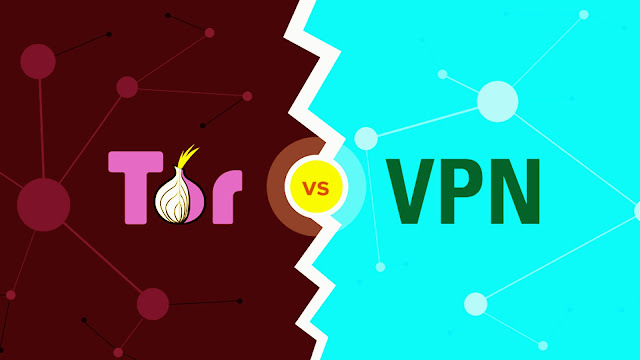 Home Hacking News Tech News What 's Difference Between Tor and VPN | What is Tor and VPN? The surveillance and hacking techniques have grown which have forced the internet users to think about the data privacy. Also, they look for software that allows them to bypass restrictions and access almost any content available online. Such services that let them achieve this, mainly include Tor and VPN. Yet an average internet user might not know the difference between Tor and VPN. Before jumping to the differences between Tor and VPN, let’s first explain what these both services are, how they work. Tor is an internet browser which transfers the activities of a user through secure channel and makes the browsing history anonymous for ISP. It gives you the access of internet freedom which normally a user doesn’t have it. This is the reason why Tor is called the “Dark Web”. Tor will provide you complete protection due to its dense network which is spread over the world. Thousands of dedicated Tor servers make it really hard for anyone to trace or decrypt your activities. Although the Tor network is good for hiding anonymity yet it does not take any extra measures to protect your data from nasty hackers. Moreover, it is recommended not to visit and explore many websites on Tor because this browser is capable of installing malware on your computer. Also, Tor is somewhat complicated to install that has many steps for downloading and then lets you continue with exploring. The Tor browser stands for “The Onion Router” similarly it works on the concept of ‘Onion routing’. The user data is encrypted and then passed through different servers called relays present within the Tor network which creates a multi-layered encryption that keeps the user identity safe. Each successive Tor relay decrypts a single encryption layer and the data which is left is passed to any random relay till the time it reaches its final server i.e. destination server. The last relay is the origin of data for the destination server. Thus, due to such process, it becomes extremely hard for any surveillance programs to track the identity of the user or the server. A Virtual Private Network (VPN) creates a secure tunnel between your computer and the network which allows you to browse the internet safely. VPN hides your real IP and location. It encrypts your data with 256-bit encryption which makes it completely protected. You can independently connect to any free Wi-Fi spot without a fear of being tracked or monitored. The VPN is capable is unblocking the sites which are blocked in your region. VPN offers security protocols such as PPTP, SSTP and L2TP/IPsec which encrypts your data. A VPN lets you enjoy videos without any buffering. These are the reason that makes VPN a strong competitor for online privacy against Tor. It means that sensitive information is difficult to decrypt. This leaves hackers and thieves handicapped while a Tor network is unable to keep you protected from the malicious hackers. The use of VPN involves connecting to a server run by the VPN provider through an encrypted connection which means that all your information traveling between your computer and the VPN server will be encrypted so that only the VPN server and you can see it. The working of VPN occurs in three steps, Authentication, Tunneling and Encryption. In the first step packets of data are wrapped which conceals the identity of the data packets. The VPN server is requested by sending a Hello to which it acknowledges and demands to enter user credentials so that authenticity of the user gets clarified. After the Authentication step next is tunneling which consists of an imaginary tunnel providing point to point connection. Any kind of data can be sent via this tunnel. Successful creation of the tunnel is now capable of transferring data which is encrypted. The VPN’s provider IP address becomes your IP address to whenever you will visit a website it will show VPN’s providers IP address leaving no trace of your identity. Your identity can only reveal if you transmit any personal information such as when you visit social networking sites.